Cinematic. Organic. Dervish. Delta. Industrial. Celtic. Tribal. Gypsy. Yearning. Thrilling. 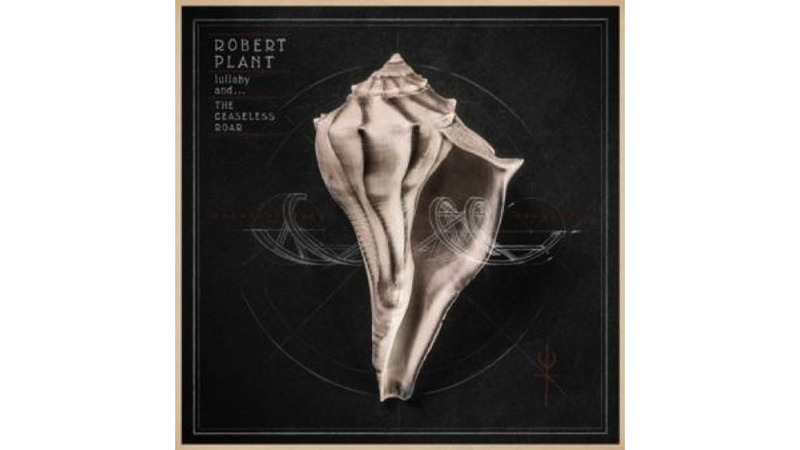 The words to describe lullaby and…The Ceaseless Roar, Robert Plant’s 10th solo album, are endless. Made with the aptly named Sensational Space Shifters, the musicians merge and converge in ways that confound on paper, yet delight as they fall together. The folk “Little Maggie,” which opens lullaby, is given a making-the-familiar-strange twist by employing the kologo, an African equivalent of the banjo. The tone and rolling pattern is similar, yet the plink is otherworldy. It is that mystical conjurement that makes this collection so intriguing. Working from the rhythms up, the bleacher pound-down beat of “Rainbow,” the seductive back ’n’ forth build of “Up On The Hollow Hill” and the lurching-tempered-by-strings and the ethereality of Julie Miller on “Embrace Another Fall” are driven and complicated. If Plant has arrived at a maturity, he has lost none of his fire—or his affinity for the Middle Eastern musical palate. Fraught is “Turn It Up,” his spare yowl building and turning as Plant drives somewhere near Tunica, Mississippi. Transfixed by an AM radio preacher, he is caught between the sold salvation brokered and the blinding crassness of “neon, the righteous and the might.” This is Mule Variations Tom Waits at the crossroads where Robert Johnson sold his soul. Sadly, Plant’s rootlessness offers complications. Acknowledging his will to find that perfect love in the sheen of guitars and a military beat, “Somebody There” demonstrates his aim is true. But intentions come undone as the slowly sweeping “House of Love,” with its admission of how one can miss the obvious dying of what’s before one’s eyes, serves as an elegy for the love affair now cold. Minor keys, exotic instruments, tattered emotions, stone confessions of wants and failures. Through it all, Plant is like foam on a wave, almost weightless, yet utterly incandescent. For those drawn to the Moroccan/pastoral aspects of Led Zeppelin, lullaby borders on narcotic. More an evocation than a culmination, on lullaby Plant neither stands accused nor protesting. This is his life, and by the closing “Arbaden,” with its slashing guitars, electronica drive, staccato blasts and vocal sections in Fulani, he is ready to seek the next horizon. Letting us watch with our ears is its own transfixion.